Use a whisk to create a smooth mixture of the cream cheese, egg yolks and cream. If your cream cheese comes straight from the fridge, it will be more difficult to mix it with a whisk. You can wait a bit, or use an electric mixer instead. WHIP up the egg whites until they form soft peaks. Gradually ADD the sugar and keep on mixing until the egg whites form stiff peaks. 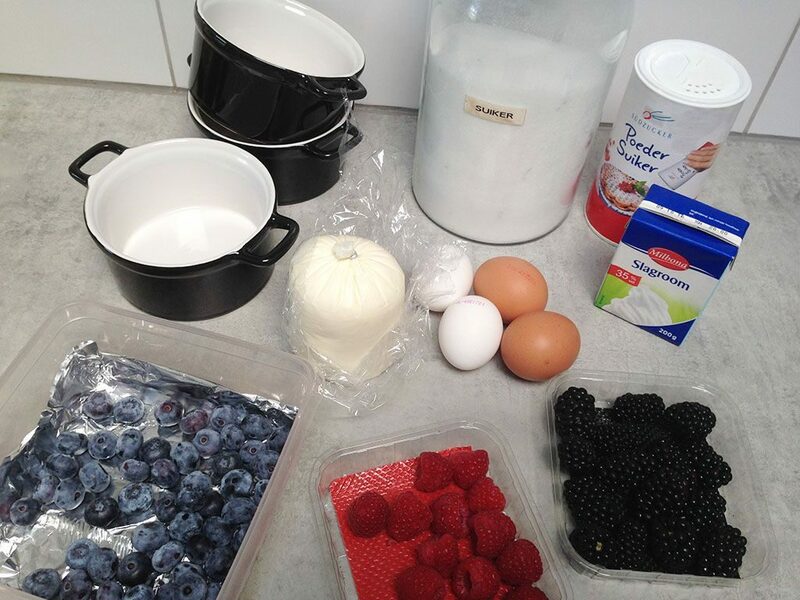 Carefully COMBINE the egg whites and cream cheese mixture until you’ve reached a smooth mixture again. 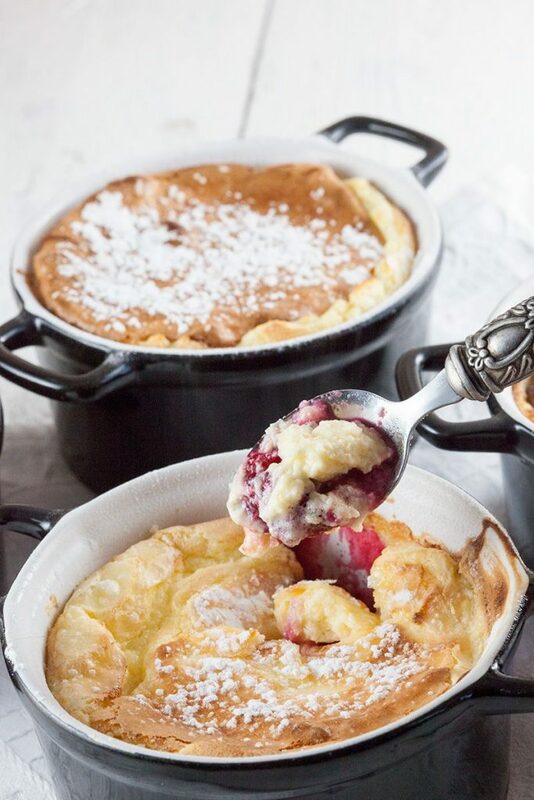 DIVIDE the red fruits over the ramekins and finish it off with the fluffy cream cheese mixture. 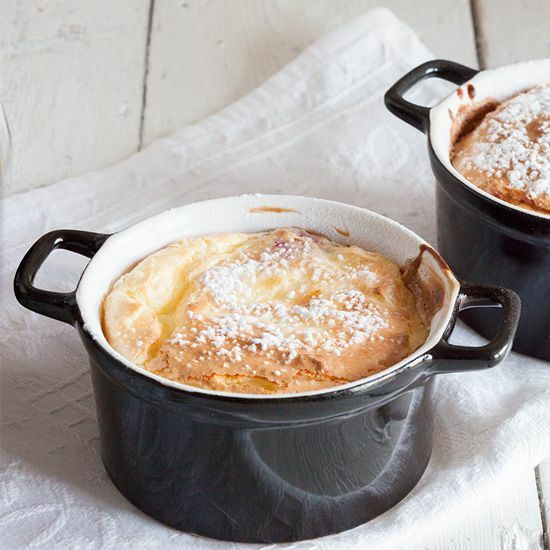 DUST the souffles with powdered sugar and bake in the oven for about 15 to 20 minutes, depending on your oven. 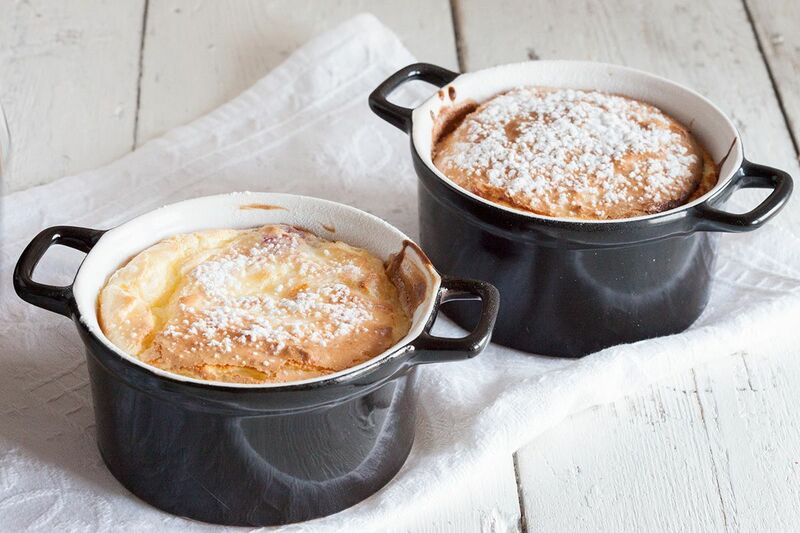 The souffles are ready when they’re beautifully golden brown. Enjoy! Sounds nice, but how many eggs are actually supposed to go into this recipe?